The start of fall is a special time on the farm. The plants are heavy with fruit. Tomatoes, zucchini, eggplant, and apples weighdown stems and branches and are begging to be picked. The end of the growing season is in sight here in Colorado — the nights are cooling off and the heat of the day doesn’t last long. After all the hard work of summer, we are really able to enjoy the fruits of our labor now. At Milk and Honey Farm, we get to prepare ourselves for Sukkot, the Jewish harvest festival, and “time of our rejoicing.” In Ancient Israel, farmers would build temporary structures in their fields as they spent long hours harvesting far from their home. Today Jews still build this structure- called a sukkah- in their backyards and synagogues. At Milk and Honey Farm, we’ll get to build it at our farm at the end of September, to truly celebrate our harvest and this special time of year. This year we are partnering with local celebrity chef – Hosea Rosenberg, the mastermind behind Blackbelly and Santo, to create a truly unique Sukkot experience. On September 27th, he and his team will cook up and serve a multicourse dinner inside the Sukkah, using our farm’s produce. A few selections from the menu include: fresh baked bread with za’atar oil, baby farm veggies and red pepper-sunflower hummus, rosemary white bean dip, alaskan sockeye salmon, rotisserie leg of boulder lamb, and farm ratatouille. Space is limited, so register by Sunday, September 23rd. 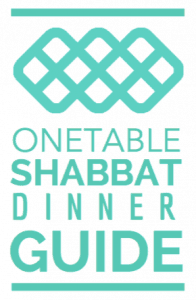 September 28th: Sushi in the Sukkah with Boulder Jewish Teen Initiative. Register here. September 29th: Family Farmside Yoga in the Sukkah, with Lindsey Bradley. Join us to to rest, renew, move through a gentle yoga sequence, and start your Shabbat morning right. Play with the goats after your mindful practice. Geared toward families with children 3-8 years old, but all ages welcome. Registration coming soon. September 30th: Sukkot on the Farm. Bring your whole family to Enjoy farm activities like feeding the goats, bike-blender hummus, seed exploration, and a Sukkah adventure playground. Hadgaba will be playing music and desserts will be available from the Vanilla Bean Pastry Truck. Register here.